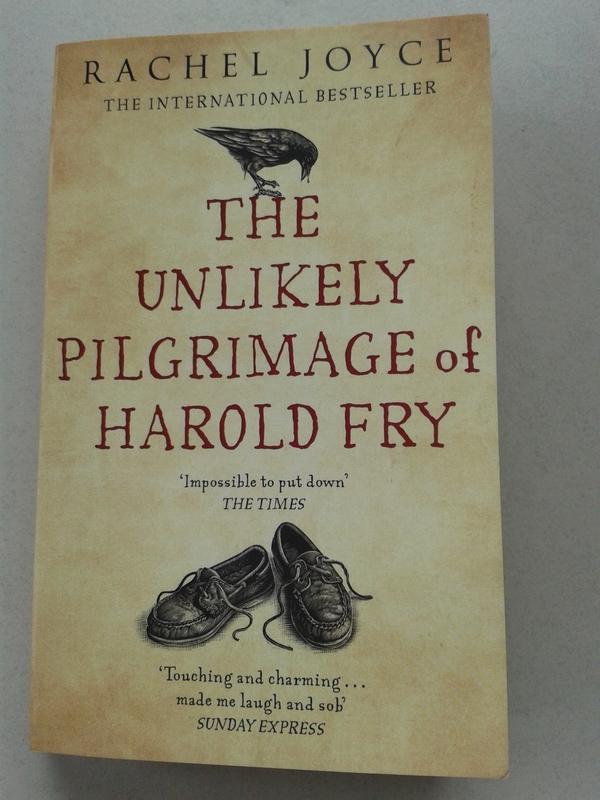 I have just finished reading a wonderful book, The Unlikely Pilgrimage of Harold Fry by Rachel Joyce. I don’t normally blog about books, but with this I just have to. The story begins as a simple one – Harold, the central character, leaves home to post a reply to a letter he has received from an old friend who is dying from cancer. And then decides to hand deliver it, some 627 miles and 87 days later. I think what I particularly liked was a certain “return to nature” perspective, a stripping away of life’s paraphernalia, with his impromptu decision leaving Harold to walk without map, mobile or even decent walking shoes. His journey describes the simplest of things – the way the landscape changes under sun and starlit skies, the colours, the smells, the feelings it awakens, and of course with all this time on his hands and little distraction, Harold begins to look back on his life with each step he takes forward – the memory of his mother, his father’s brazen behaviour, the times spent with his son, his wife, the many regrets. It’s the kind of book that makes you think, to look inward, maybe even examine your own path you have followed to be where you are now. And it is the first book in a long time that has made me cry! There is one very poignant scene described in such an emotive yet simple way, it makes me waver now to just think about it.